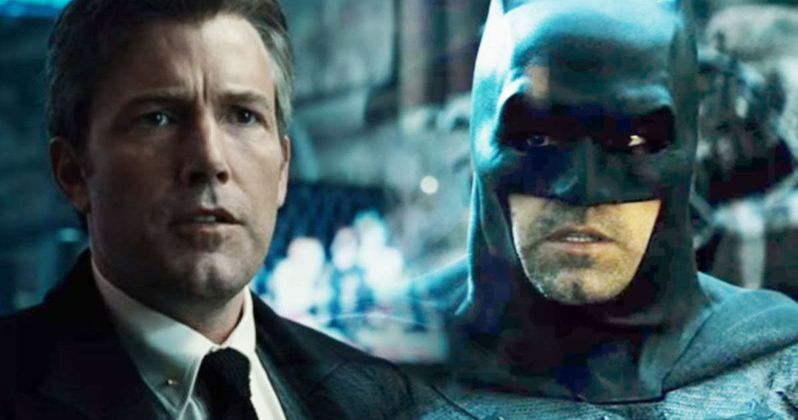 Warner Bros. DC Extended Universe (DCEU) has been in a state of flux and turmoil ever since Justice League under-performed at the box office, and one lingering rumor has been that Ben Affleck is simply "done" with playing Batman. There had been rumors that he wanted out of the stand alone movie The Batman, which has Matt Reeves at the helm, but now a new rumor claims he's planning to stick around as the Caped Crusader. Naturally, nothing is set in stone yet, but it seems there's a good chance that Batfleck may not be going anywhere. The news comes from Twitter users Daniel RPK, who, as Batman News pointed out, has been a reliable source of information regarding the DCEU. He revealed on Twitter that Ava DuVernay is directing DCEU's New Gods days before it was officially announced, and he also revealed that he heard about a "big director" signing on for a DCEU film, just before it was announced that Steven Spielberg will be directing Blackhawk. While the identity of this "Daniel RPK" person, whose bio only states he's a "writer," remains unclear, he has delivered some solid information in the past, so he may not be wrong about Affleck's Bat-return. What isn't clear, though, is how this will affect The Batman yet, but it may likely put an end to the dearth of casting rumors that have surfaced over the past few months. Actors such as Jake Gyllenhaal, Jon Hamm, Karl Urban and others have either expressed interest in taking over for Ben Affleck, should he officially part ways with the role, or have been rumored to be in consideration. One rumor claimed that Jake Gyllenhaal had the role locked down if Affleck departed, but Gyllenhaal shot down that rumor last month. There had also been rumors that writer-director Matt Reeves was bailing on the project, but he shot those reports down as well, stating in April that the development process is going, "really, really well," and that he, "could not be more excited." Still, there has been no concrete news on when The Batman might actually happen, since Reeves is likely still writing the script. There have been a number of rumored release dates for The Batman, but nothing has been confirmed at this time. If Affleck is in fact now committed to the project, and Reeves can finish the script this year, it seems possible that a 2019 production start may happen, with a potential 2020 release date. There was also a rumor in April claiming that The Batman story will deal with the death of Jason Todd, although that rumor has been shot down by an insider. Ben Affleck was once set to be a triple threat on this project, not only starring as The Batman but also directing from a script he co-wrote with DC Films' Geoff Johns. Warner Bros. ultimately replaced Affleck at the helm with Matt Reeves, who revealed he was completely starting over with the story from scratch, scrapping the Affleck/Johns script entirely. You can take a look at the tweet from Daniel RPK Twitter below, as we wait for any concrete information on The Batman.